The earliest attempt to invent a sewing machine was a patent for a machine that sewed leather in 1790. The history of the sewing machine is replete with developments and improvements that made machine sewing faster and easier than hand sewing. These innovations include: the eye-pointed needle (with the needle and the eye on the same end), the chain stitch, the lock-stitch (formed by two threads: one on the needle, one on a shuttle), and the treadle. 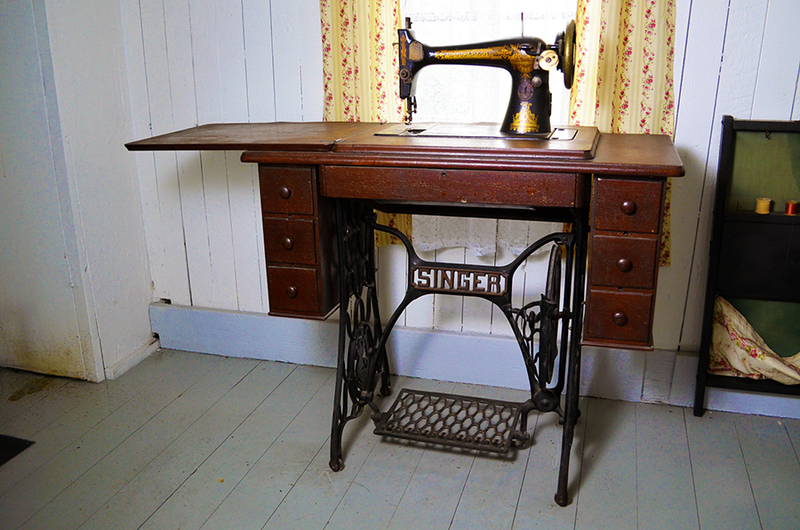 By the 1850s, there were over 171 companies in the United States producing sewing machines. Typical of the 19th century, these companies fought numerous legal battles over the patent rights, referred to as the “sewing machine war.” The battle was resolved by forming the Sewing Machine Combination, one of the first patent pools in the United States. The Combination lasted from 1856 – 1877 and combined the patents of Elias Howe, I.M. Singer and Co., the Wheeler and Wilson Co., and the Grover and Baker Co.
Sewing machines were a relatively expensive product to buy. In an innovative move to encourage consumers to buy his machines, in 1856 Singer offered an installment plan. Singer also offered a trade-in allowance of $50 for old sewing machines. This strategy also increased their sales.